The GS Front Squat Harness All Sport is developed to cater for a wide range of athletes, allowing all athletes to have the ability to front squat without discomfort. “In summary, you just can’t cheat with the new Front Squat Harness All Sport. Correct Technique is paramount! Check out the review the New Getstrength All-Sport Compact Harness just got for our customer Julio G.
This will force you to get stronger…….. 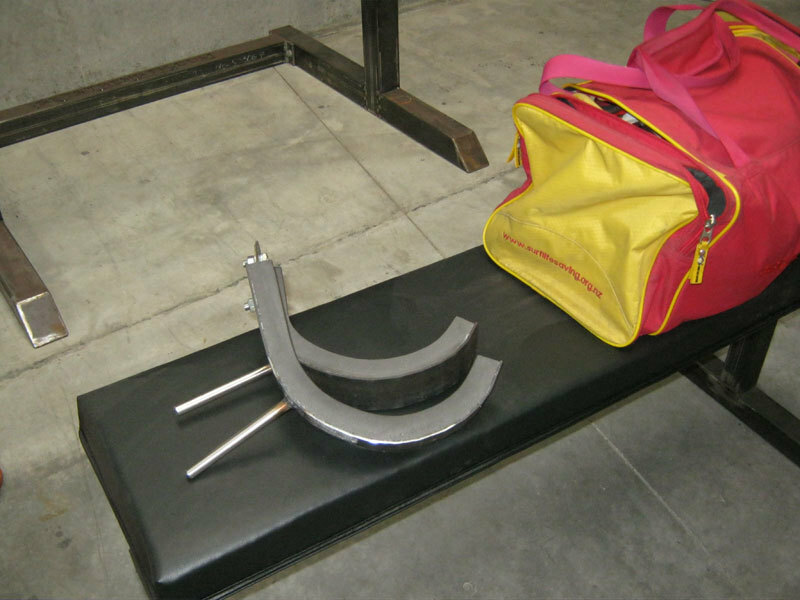 Compared to the standard front squat harness, it is not for the weak. The standard offers a few options so that one can progress up the difficulty ladder. The compact version offers only one, but the advantages far and above outweigh that issue. The compact version is easy to carry and transport to any gym where you are going to work out. 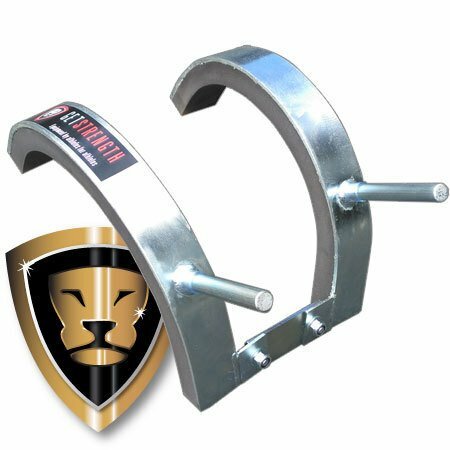 It fits comfortably and easy to adjust for any lifter. Padding is great. Construction quality is awesome It will allow only a high position for the bar. That makes it tough on those that do not have a strong core and are able to handle that position. Of well little man, get stronger I guess if you want to use it. I could not lug my standard version everywhere so I left it at the gym where I most often train where I could trust it would not be stolen. With my new compact unit, I take it whenever I am going to work my legs and people come up and ask what is that and where can I get one.